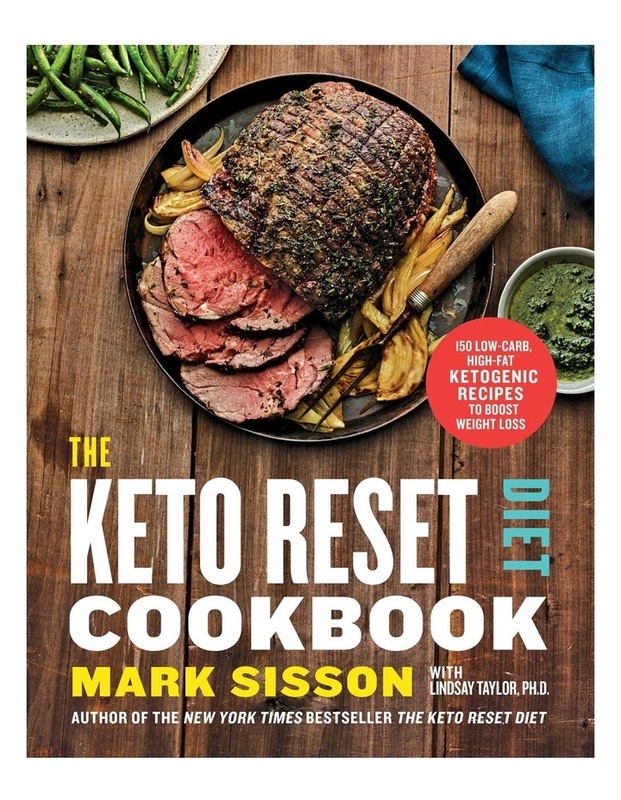 On the heels of Mark Sisson?s bestselling book The Keto Reset Diet comes an essential cookbook, with 150 all-new keto-aligned recipes to help you slim down, get healthy, and go keto the right way. You will transition away from carbohydrate dependency and weight-loss frustrations into the world of metabolic flexibility, where you will reprogram your metabolism to use fat for fuel. You?ll ditch processed grains, sugars, and refined vegetable oils in favour of nutrient-dense, high-fat foods. With the delicious, diverse meals in this cookbook, your journey will be enjoyable, convenient, and free from the risk of backsliding and burnout that comes with a rushed approach to keto.The Keto Reset Diet Cookbook will help you replace your old favourites with keto-approved substitutes for pancakes, crepes, and oatmeal, and even includes decadent desserts like Dairy-Free Avocado Mousse and Chai Panna Cotta. Hearty meals like Braised Short Ribs with Mashed Cauliflower and Cheesy Eggplant-Spinach Casserole will keep you from ever feeling deprived or hungry. With these recipes and many more you?ll experience a new world of culinary possibilities and lasting health.